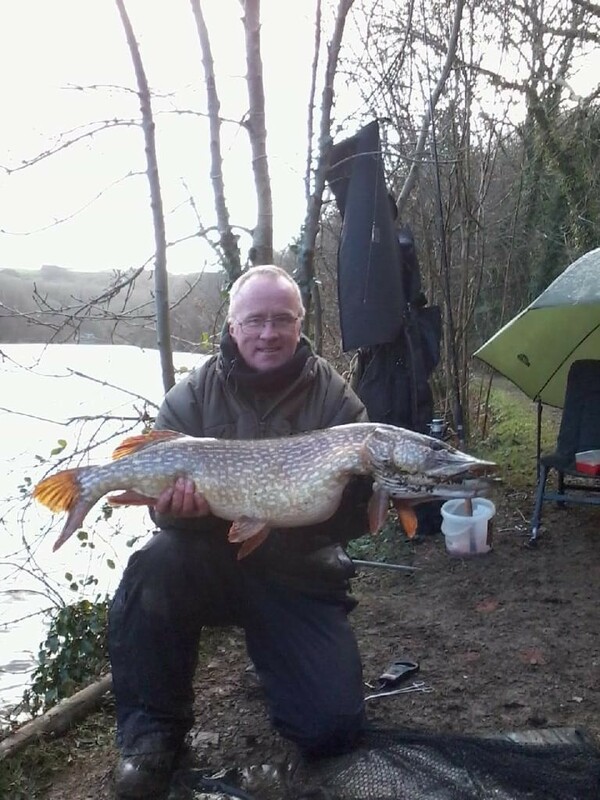 Mark Brown caught this cracking pike of just over 25lbs from Lower Slade reservoir in Ilfracombe, North Devon, on a mackerel dead bait. 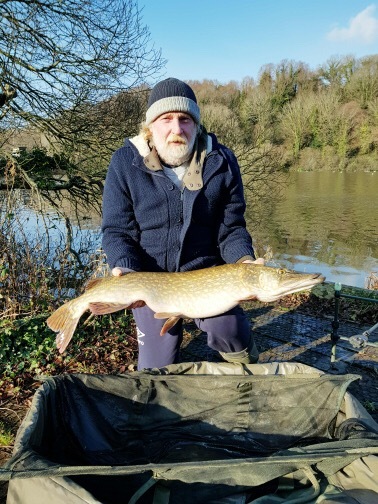 Richard Ball braved the weather at Lower Slade to do a bit of pike fishing and caught a stunning 12lb pike caught on frozen roach. 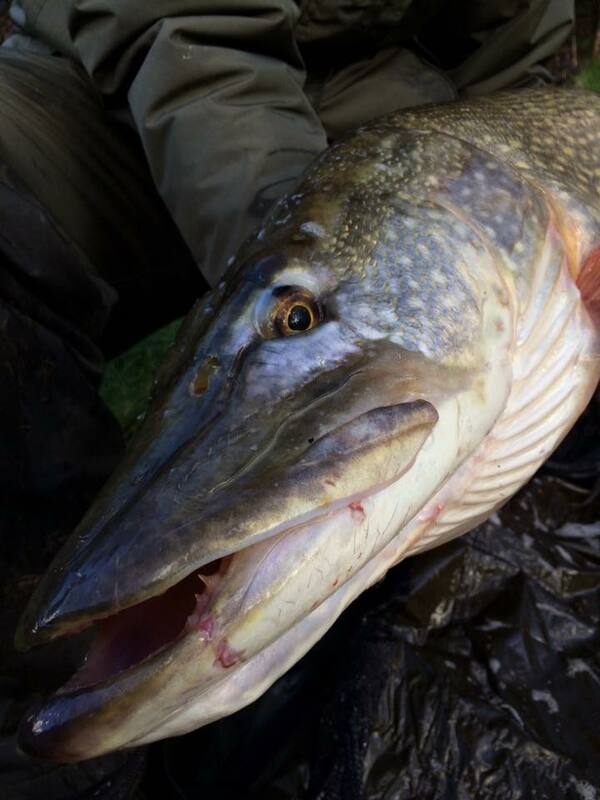 Anglers fishing for pike are reminded that they must use a wire trace and carry suitable long nosed forceps for un-hooking, an un-hooking mat and a 42″ landing net. 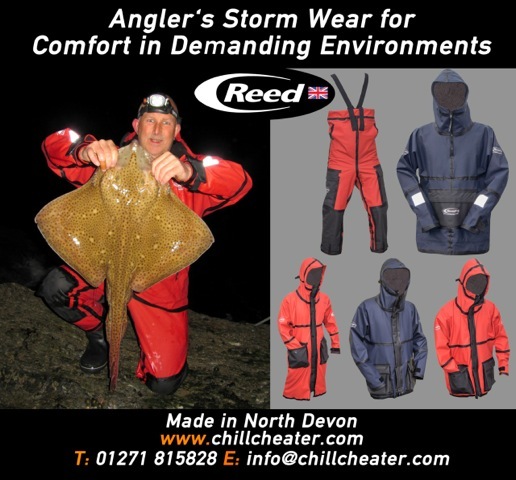 There are not enough waters in North Devon holding pike so a trip to Porth in Cornwall might be an idea. 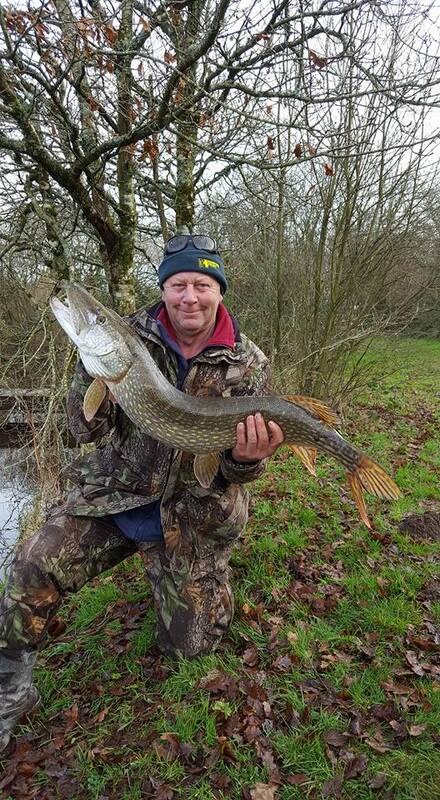 Geoff Mason has caught this 19.05 Pike from Porth on a ledgered spratt. Geoff also had a 9.10 fish using his running ledger set up. 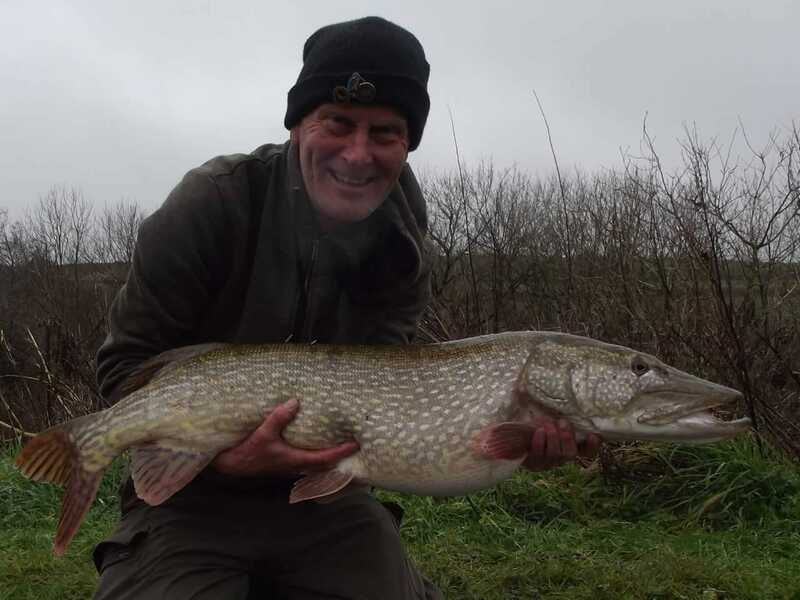 This follows Geoff catching an 18.05 pike from the same venue only a couple of weeks ago! Make sure you all the right unhooking tackle when you fish for pike and always use a wire trace. 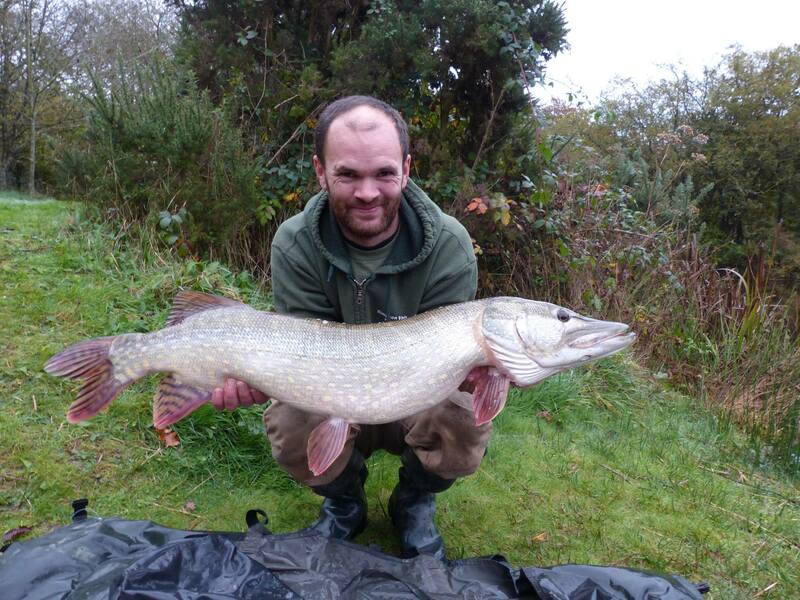 Its not North Devon but its is winter and nice to see a good pike. 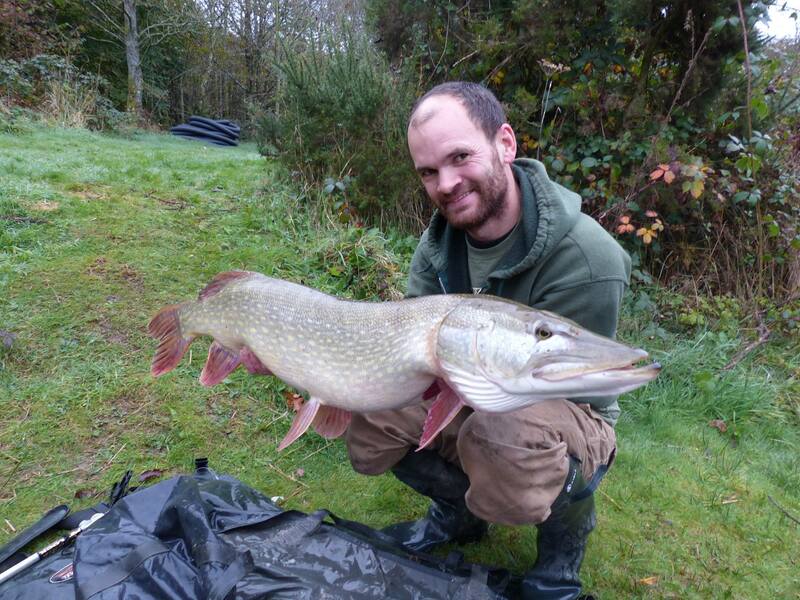 Ben Smeeth of South West Lakes Trust sent me this picture of a fine pike caught at Porth near Newquay. 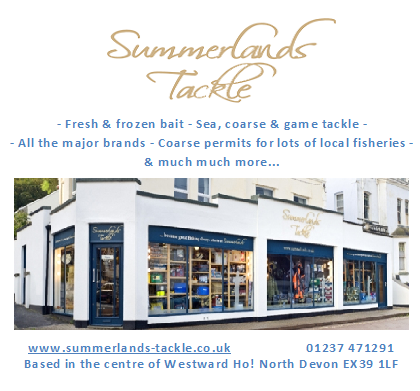 North Devon anglers can always target these toothy winter predators at Lower Slade near Ilfracombe. Richard Mason visited Porth reservoir near Newquay at the weekend to land this cracking 18.05 Pike on a ledgered smelt near the Dam wall. A size 6 hook and 20lb Fox trace were the successful tactics for Richard. 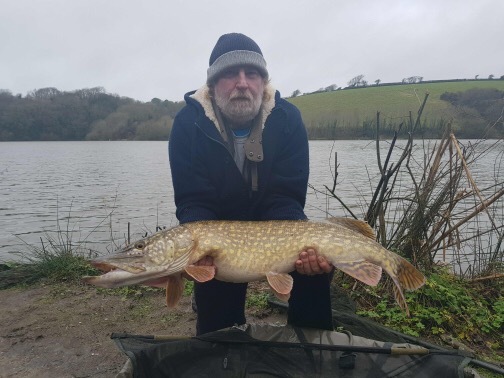 Pike are the traditional target of winter coarse anglers and Ian Grimes (Above) enjoyed success with the species landing a personal best of 25lb 8oz at Simpson Valley Fishery near Holsworthy. 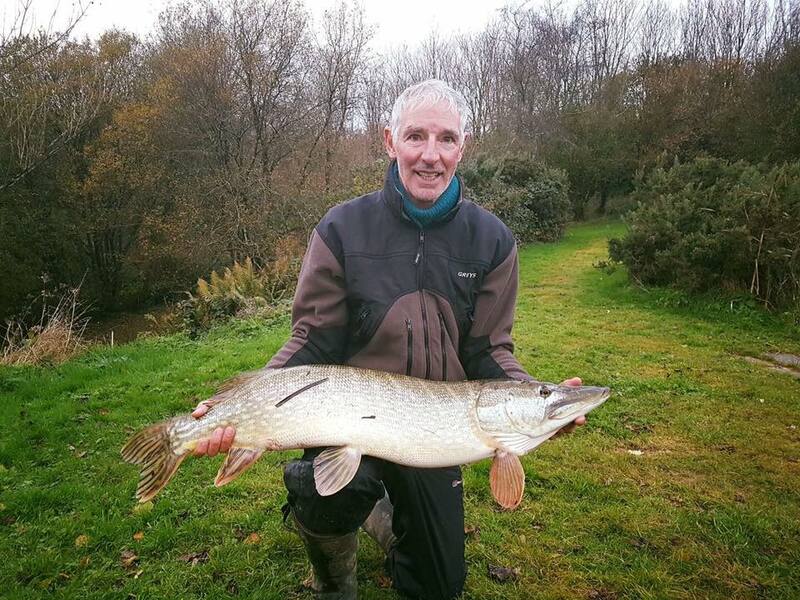 Colin Howis (Below) also enjoyed success at the fishery tempting a fine 26lb pike on float-fished mackerel. 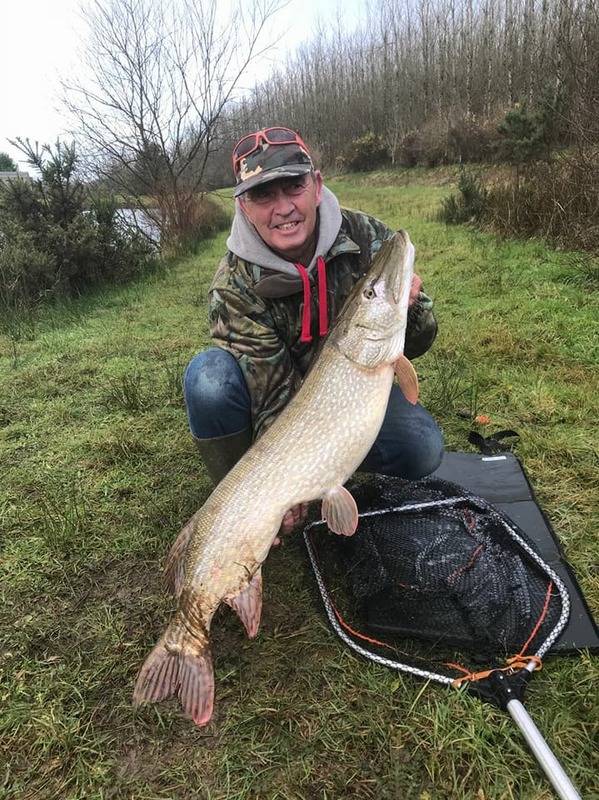 Dave King on his second trip to Simpsons Valley smashed his previous personal best pike of 12lbs to take a huge and new lake record pike of 24lb 8oz. Float fished sprat did the trick for Dave in the shallows. 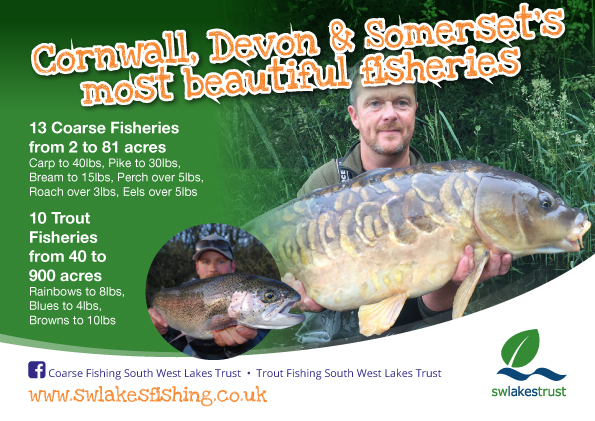 Simpson’s Valley is a fishery nestled in a valley near Holsworthy and has several lakes catering for carp anglers and pike anglers. 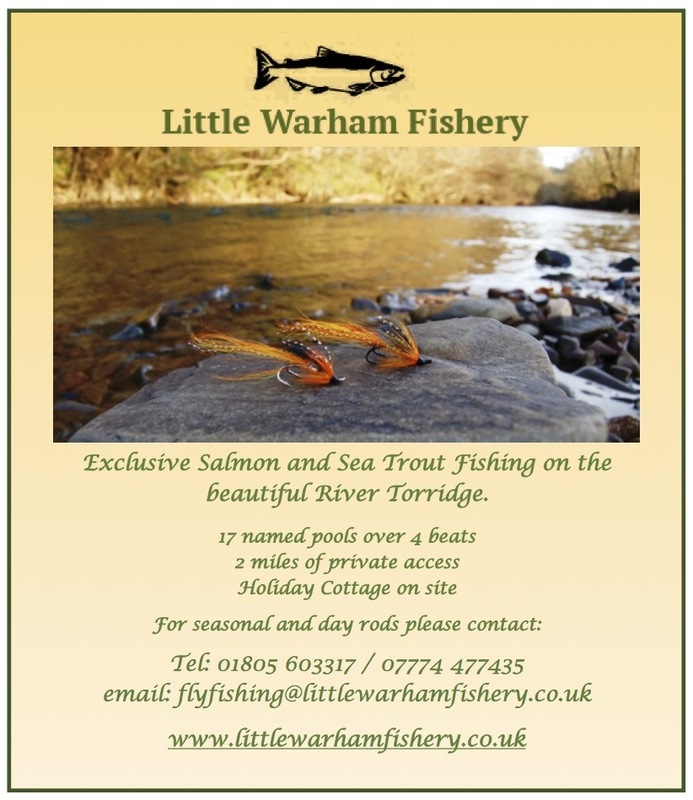 There are also Fly Fishing Lakes and LRF trout fishing options. 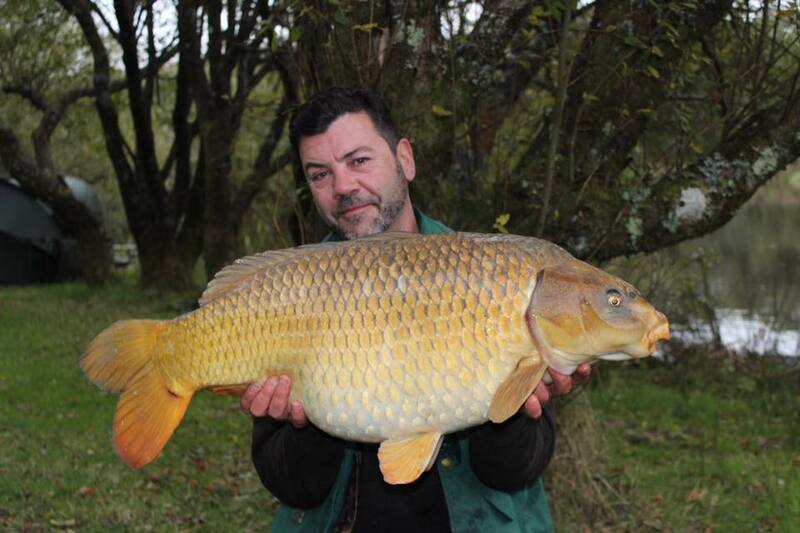 (Above) Gary Ireland landed this stunning big ghost common from Upper Fuzzy at a weight of 29lb 8oz. 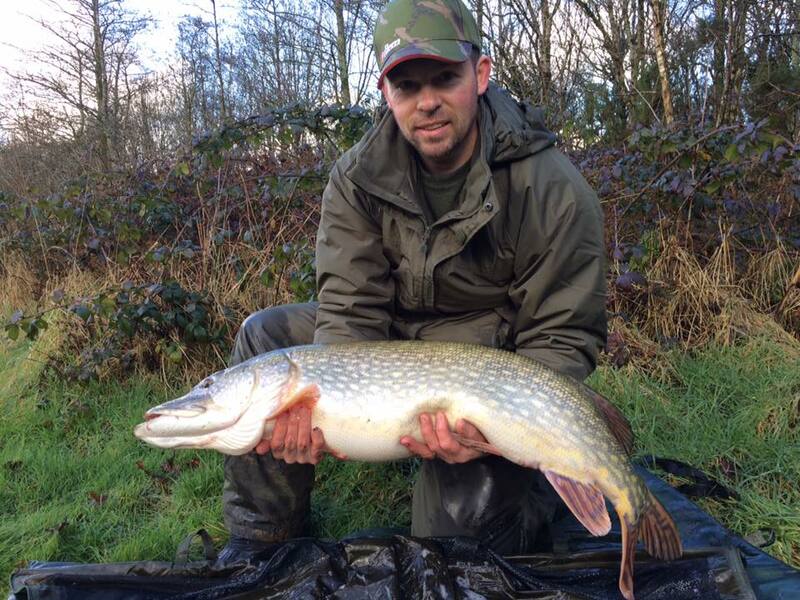 A fine double figure pike caught by Andrew Braunton from Upper Fuzzy Lake. 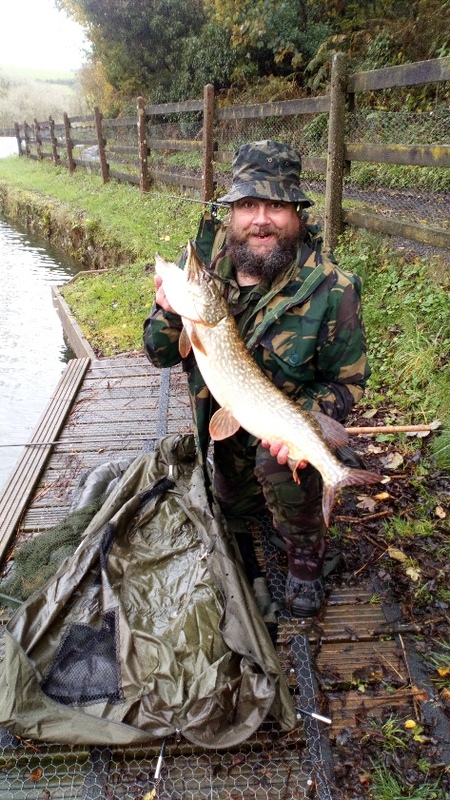 Graham Verral targeted Simpson’s Valley’s predators using float-fished sprat to tempt a fine pike of 23lb 6oz. 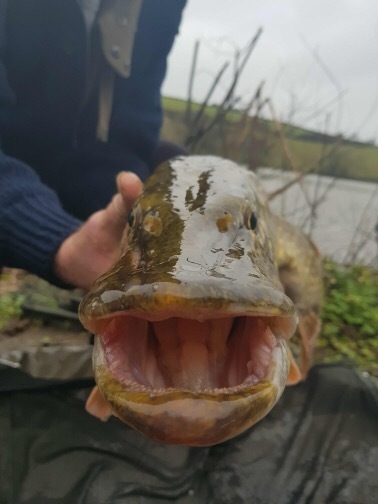 Pike are traditionally a fish of the autumn and winter months and the pleasing site of a red tipped float sitting optimistically upon the surface is one of the great joys of the season especially when the float trembles before sliding delightfully beneath the surface. Those few seconds before setting the hook are always full of tension and expectation. Then with luck comes that solid resistance of a big pike followed by a might swirl, bent rod and singing reel! 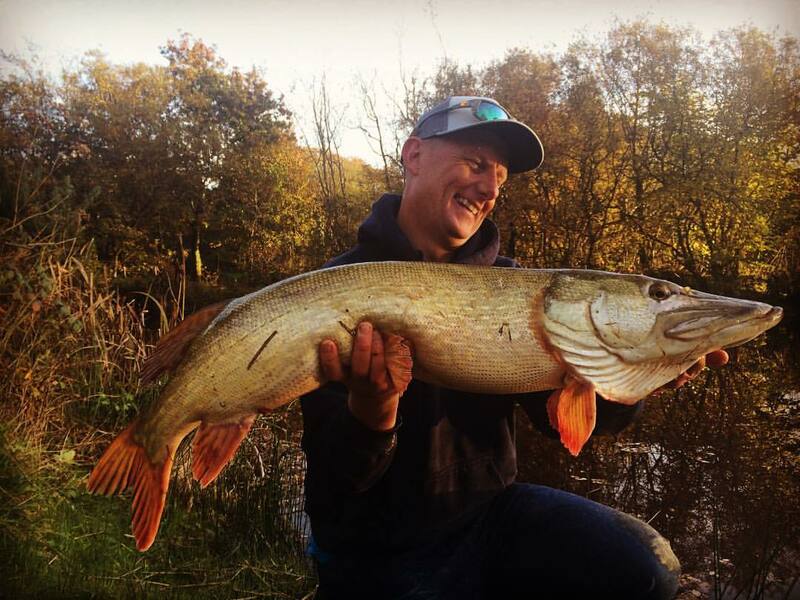 Andrew Moores enjoyed a great session fly fishing for pike on his home water landing pike of 10lb 7oz, 18lb 4oz, and a 23lb 2oz. Exe Valley Fishery Manager and top Fly Fishing Guide Nick Hart visited Simpsons Valley and enjoyed success with a fine 17lb plus pike.